To celebrate summer I’ve prepared for you a series of 3 episodes with my best travel tips for your stay in France! 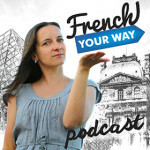 In this episode I’ll cover: how to plan your itinerary and avoid being stuck in traffic, how many “bises” (kisses) you should smack on French people’s cheeks, and much more. 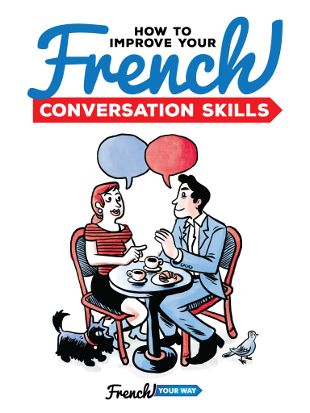 Learn false friend words that may cause confusion to English speakers visiting France. Also, are you aware of the most popular scams where people may try to fool you and get a hand on your money? Do you know which types of flowers you should NOT bring to your French host? It’s all in this episode! 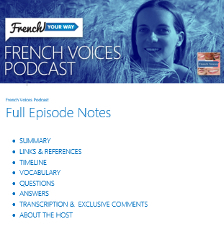 Stay tuned: Episode 74 will give you precious advice on how to take the train in France and episode 75 will run you through major road rules to drive safely throughout the Hexagon (the nickname for France). Je voudrais du pain, s’il vous plait. = I’d like some bread please.